Aldo Tardozzi is a film and TV director. He was born in 1974 in Zagreb. He studied philosophy at the Faculty of Philosophy of the Society of Jesus in Zagreb, and in 2001 he graduated film and TV directing from the Academy of Dramatic Arts in Zagreb. 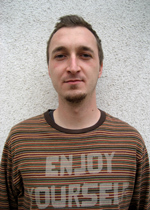 He has collaborated in the Animation Workshop of the Student Centre in Zagreb and for two years he wrote and produced commercials for Radio 101. 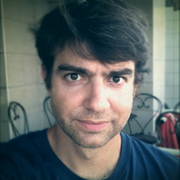 Tardozzi has attended several international scriptwriting seminars in Grožnjan and was a guest at UCLA, in professor Lew Hunter’s class, where he observed the work on the sitcom Veronica’s Closet (WB). For several years, he has published texts about film in the publications Croatian Film Chronicles (Hrvatski ljetopis) and Zarez, and is also an organizer and casting-manager for commercial and music videos. He is currently developing a project in the international production workshop Production Value. His latest film, Spots (Fleke), which is also his feature debut, was the only Croatian film present at this year’s Sarajevo Film Festival where it received great reviews. 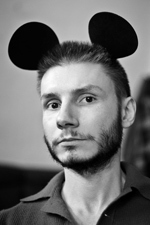 Andrei Tanase is a film and TV director, born in 1982 in Bucharest. In 2006, he graduated from the National University of Drama and Film, at the Department of film directing. During his studies he directed several short films, the last of which was also his thesis work, the short film Forever Love. The film won numerous awards, among which the award for best student film at the Budapest Short Film Festival. After graduating, he started working as a freelancer at the Romanian National Television, but he is also involved in making short films in different workshops. He has participated in many workshops and competitions such as: Nisi Masa – the European short film scriptwriting workshop (he was a finalist in 2007), CineTrain – the international workshop for documentary film development, in which films are made while travelling on the Trans-Siberian railway (he is the author of one of six films made in 2008, which was shown at Cannes Critics’ Week) and the Robert Bosch Foundation competition for best short film (he was shortlisted in 2011). Andrei is currently working on his first feature live action film. Gábor Réthi, animation artist and teacher, born in 1980 in Kazincbarcika (north-eastern Hungary). In 2004 he graduated from the Hungarian University of Craft and Design, at the Department of visual communication and design. He is currently finishing DLA studies at Moholy-Nagy academy of art and design in Budapest (MOME). For the last six years he has worked at the same academy, as a lecturer at the Department of animation and new media. He is also involved in a small production company Pixofil Visual Communication as the leading animation artist and creator of different online campaigns and applications. Hungarian Folk Tales, animated TV series (ep. 35 i 64, 2 x 7' 45''); directing and animation; Kecskemétfilm Ltd.